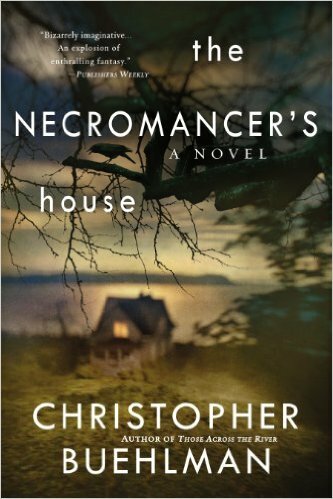 Christopher Buehlman weaves together some truly fascinating mythology with the gritty reality of a “modern” warlock to create a downbeat story of love, loss, addiction and magic. I love the concept of a modern-day set of wizards who use materials at hand — like Skype and videotapes — to talk to the dead, and who have to wrestle with modern problems to be a fascinating new approach to wizardry and magic. I also love the way Buehlman plays with stereotypes and refuses to let standard “romantic” situations constrain his story. He also has a knack for just the right amount of withholding. I’ve written more about “withholding” as a technique in my How to Write Fantasy series, which you can read here. The book is also very well written, and I learned a lot watching Buehlman’s expert hand at work. The story is about Baba Yaga, but he approaches her “reality” from such a fresh perspective he makes her truly horrifying. Bravo! However, I didn’t find the story as compelling as I’d like, because the characters were all very broken in not very appealing ways. And the character’s motivations are less clear than I’d like — they just stumble from one thing to another without a clear direction, it seemed to me. I did find the characters very well-written and quite believable, but an AA-attending wizard whose dark past activities aren’t well illuminated (and not in a suspenseful way) is not a character I want to live with for a long time. I do like that he is self-deceiving and this is his fatal flaw. That part is perfectly done. A fantasy / horror writer to watch. Great ideas… modern insight, a real grasp of mythology and terror.